Your investment in the work of Capitol Ministries to create sustainable ministries to the political leaders of the world is achieving tremendous and eternal results! This is happening in the United States, in Europe, in former Soviet Bloc countries, in Africa, in South America, in nations at the equator, in the South Pacific Islands, in the Caribbean and very soon, in many more places – some of them, like Iraq, quite unexpected. The new constitution of Iraq allows for freedom of religion, and Capitol Ministries has been invited to meet with newly-converted Christian Parliamentarians to discuss establishing a weekly, sustainable, Bible-teaching discipleship ministry in that Muslim-majority country. A new ministry will launch next week to political leaders in Mexico, and plans are also underway for 22 additional ministries in U.S. states and foreign federal capitals in the coming year. The announcement was made by CM’s seven international leaders who met recently at the Capitol Ministries’ Global Directors Conference in Chicago, Ill. The men are charged with birthing new ministries in federal capitals in their geographic areas. Taking the Word of God to political leaders is changing the world and we have God and you to thank for that. We so appreciate you, our friends, prayer warriors, supporters, and partners for putting your faith into action by working with us to fulfill the Great Commission! Through your faithful financial support and prayers, we are able to urgently follow God’s leading to create discipleship ministries that will have eternal consequence for political leaders and greatly impact nations and societies. How can we expect leaders to make decisions in keeping with God’s precepts when they do not know the Author of Scripture? If you agree that the world will change for the better when hearts of men turn to Him, we invite you to continue our partnership in one of several ways. Please consider a donation to Capitol Ministries that will help us create sustainable ministries to political leaders. 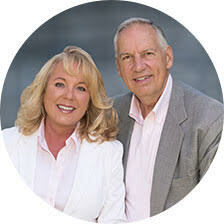 Click here if you wish to support the work of Capitol Ministries. You can also help fulfill our shared mission by working with Capitol Ministries to put our new book, Oaks in Office: Biblical Essays for Political Leaders in the hands of Public Servants. We have just published this handsome four-volume book set that provides 52 Bible studies averaging eight pages long – one for every week of the year. These studies help the political leader come to Christ and thereinafter develop in personal holiness, construct a biblical foundation, form a Christian world view, and increase in faith. These studies progressively build upon one another to provide a deep and rousing faith walk. To make disciples of Jesus Christ, the Word of God must be taught. Oaks in Office is a tremendous milestone in our 22 year history! This tome contains fifty-two of the best Bible studies from amongst the hundreds that I’ve written for political leaders over my years in ministry. In-depth and exegetically-driven, these essays provide custom applications to the life of a public leader, take the believer on a progressive faith journey through the old and new testaments, study the characteristic of biblical leaders, as well as investigate current social issues through the timeless lens of God’s Word. It is my desire that these biblical essays will help to shape the character and direction of the next generation of political leaders, not only in America, but throughout the world. 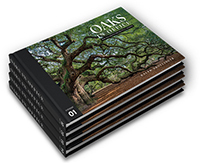 My prayer is that these studies will build strong and stalwart oaks in office. The oak tree is a perfect metaphor for the mature-in-Christ Public Servant. Its roots push deep into the earth, providing a firm foundation for whatever challenges are to come. Oaks stand up to drought, fire, wind, and floods that topple lesser trees. Elegant and noble, they provide strength, support, and shelter to both animals and people. Oak trees are splendid examples of the characteristics that God desires of His servants whom He has placed in positions of civil government leadership. While written for the Christian leader who serves in public office, the wisdom of God’s Word in Oaks in Office will also benefit the godly husbands and fathers who are leading families in homes everywhere. We are committed to seeing Oaks in Office in the hands of as many public servants as possible (there are over 500,000 elected leaders in America)! If you agree that this is a strategic way to help fulfill the Great Commission, would you consider purchasing a copy of Oaks in Office for your state representative, senator, or local city or county commissioner? This gift would project a strong message; one that could have a great impact not only on the earthly and eternal life of the public servant, but also on our nation! We greatly value your partnership in this ambitious endeavor and are grateful for your consideration to use Oaks in Office to expand your own ministry influence with your Public Servants. Your partnership in our mission to make disciples of Jesus Christ in the political arena throughout the world is truly work for building the kingdom of God. I pray that our Lord will richly bless you and your family as you continue to seek Him and His truth. Please know that we are proud to partner with you.